Hello, Fall! 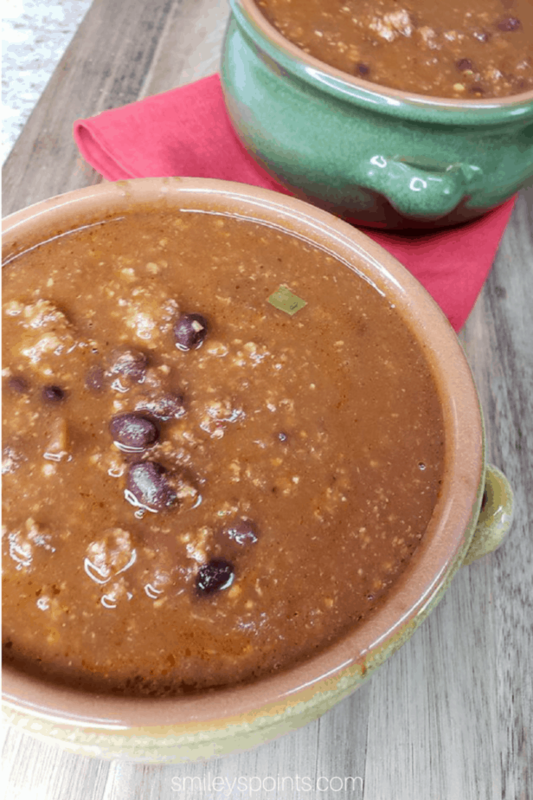 Even though it’s still warm here in Arizona, I’m ready for all things autumn… this includes my favorite Weight Watchers zero point chili! We like our chili spicy. Feel free to skip the extra spices if you like yours mild! Remember that fat-free shredded cheese is 0 points for 1/4 cup, and fat-free Greek yogurt is 0 points as well. These make great additions to WW chili! 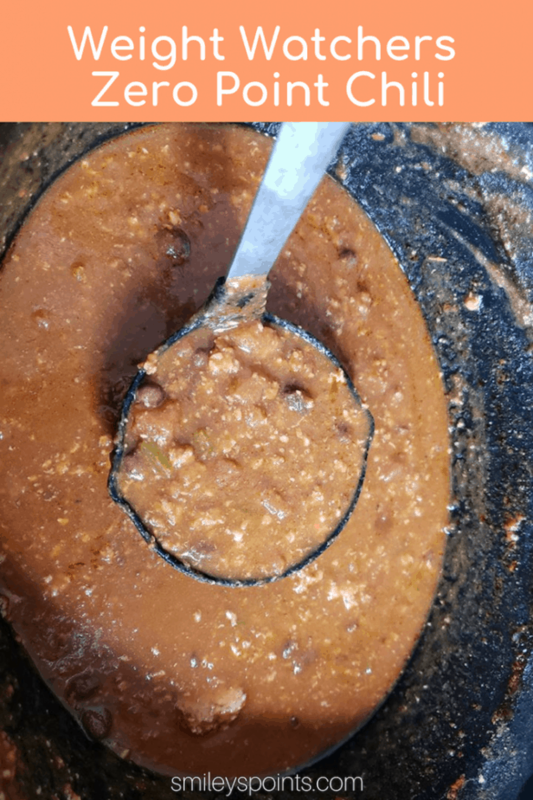 Add any zero point ingredients (including chicken, green onions, etc) without adding points to this chili recipe. Get a list of the Freestyle zero point foods here. 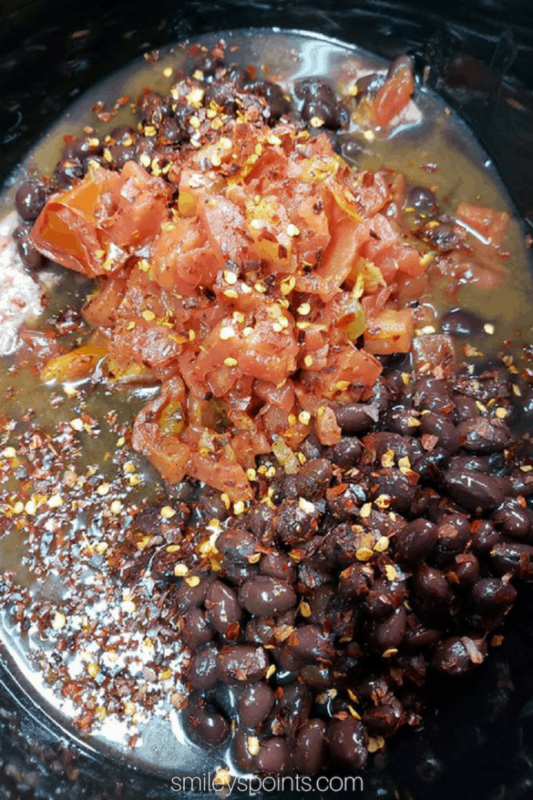 Add all ingredients to slow cooker (minus "optional" ingredients). Cook on high for 4 hours or low for 6 hours. Serve hot. 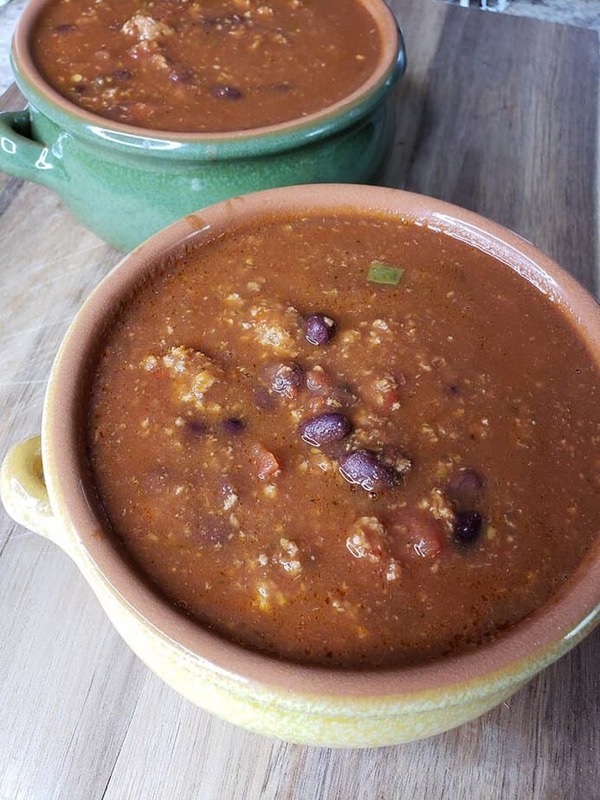 We cooked our zero point chili in a slow cooker but you can use an Instant Pot or stovetop. While you’re here, be sure to check out my most popular Weight Watchers posts! 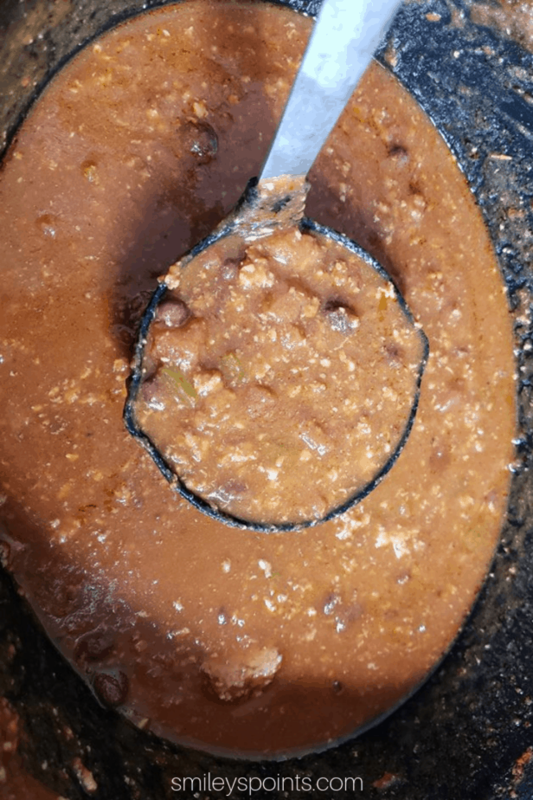 I also add a can of pinto beans with the juice, a can of mushrooms drained and a can of corn drained. A WW staple for me. I freeze in portions.